encountered. Emmanuel and Honoré have not been able to be with us because they could not obtain their visa for India. We have had lots of communication with both of them these days. Also, Arthur Charles, Asian Continental Responsible, has not been able to obtain his visa. Prakesh from India and Philip from Korea, members of the Asian Council, have accompanied us. 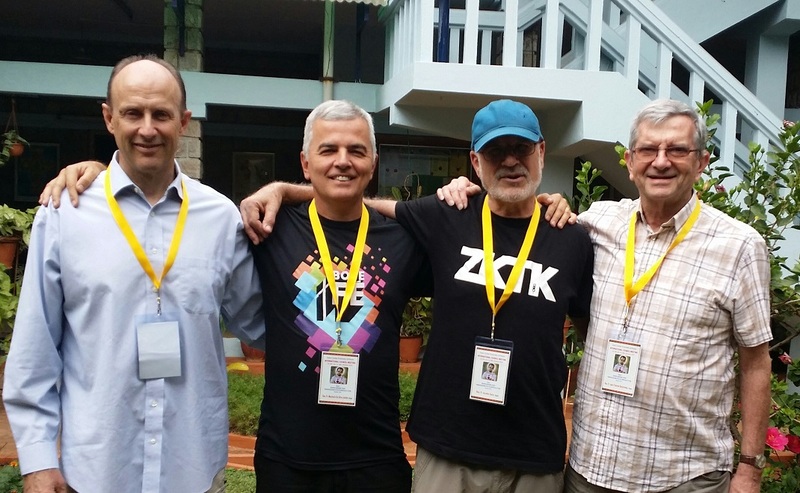 All our work has been to prepare for the General Assembly of 2019, which was going to be in Bangalore, India; as it turns out it will be in the Philippines because of the problems many brothers have encountered in obtaining their visa. 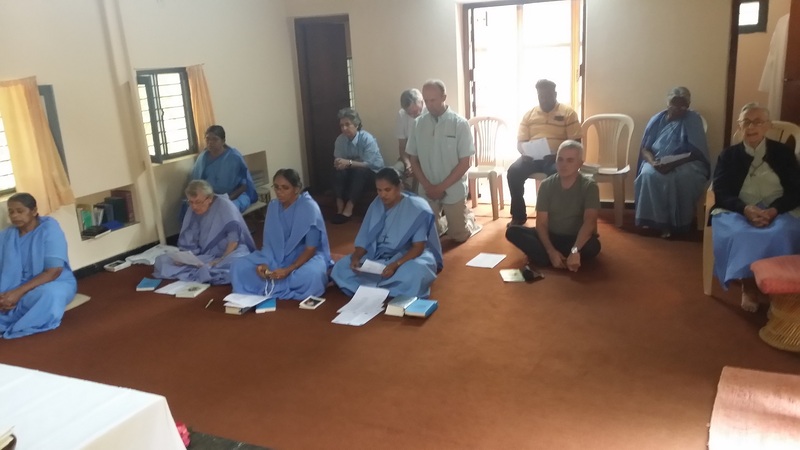 The brothers of Bangalore have cared for us in every moment of our stay which began at Shanti Sadahna Trust, a Franciscan Center for Spirituality run by the Capuchins and concluded at the Jesuit House, Ashirvad. 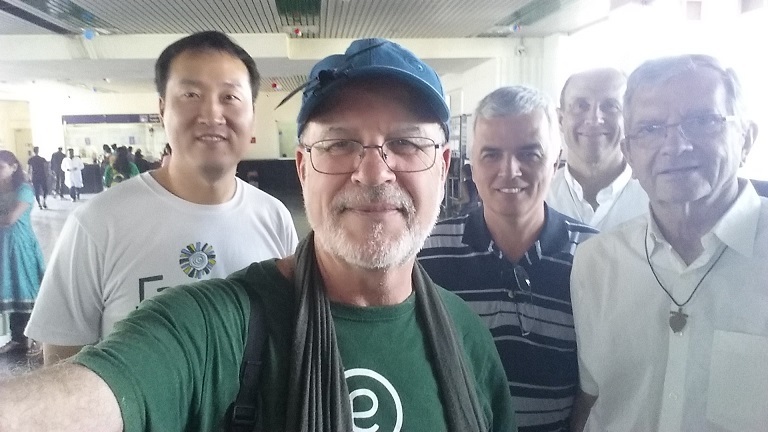 Our brother Alphonse, Regional Responsible for India, has been a guardian angel for the International Team, constantly preoccupied for our transportation, contacts, needs and arrangements. Thanks, Alphonse, for everything and thanks to the brothers of India. In our daily work to prepare for the assembly we have appreciated the realities of all the continents– how the fraternities are doing, the continental assemblies, the Month of Nazareth–the joys and problems of so many brothers throughout the world. Mark has presented a financial report and has made a budget for the 2019 Assembly. We will send this to all the responsibles. We hope all regions will help with the assembly so that we can offer assistance to brothers all over the world with their trip to the Philippines. We have completed the schedule for the Assembly, hour by hour and day by day including the methodology and responsible persons for each moment. It has not been difficult work because we have worked as a team with clear objectives for the assembly, whose them is to Deepen and update the missionary identity of the diocesan priest in the light of the testimony of Br. Charles de FOUCAULD, contemplative and bearer of the Good News of Jesus. 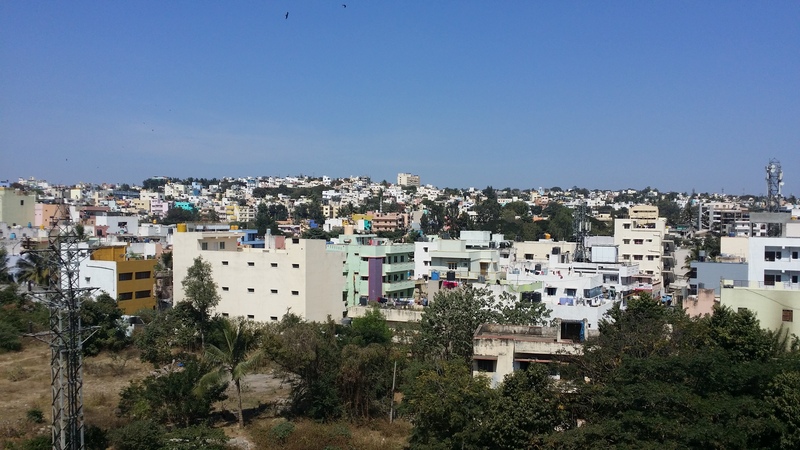 The Questionnaire for Bangalore, given out more than a year ago, has not had many responses; many countries have not responded and we think it will be the work of the continental responsibles to motivate all the brothers in this preparation. For this reason, in March, we will again send out the questionnaire so that we can work with the responses in continental groups in the Philippines. Thus it will be the fruit of many responses and not just the thoughts of a few. outside the church, the lack of political and inter-religious dialogue, the threats of nuclear war, a deepening poverty in many countries because of government corruption, multinational exploitation with degradation of the planet, the reality of women mistreated in so many ways in so many parts of the world, the ordeal of refugees, all of this won’t allow a person to sleep (or at least it will leave us indifferent!) Charles de FOUCAULD and our Holy Father Francisco are animating us to assume a serious and prophetic posture in this wounded and suffering world. Our Assembly in the Philippines is a collaboration with this call to be a Church which goes out of itself, sent to the peripheries. From there we can deepen the missionary essence of our ministry which gives preferential treatment to the culture of hope. 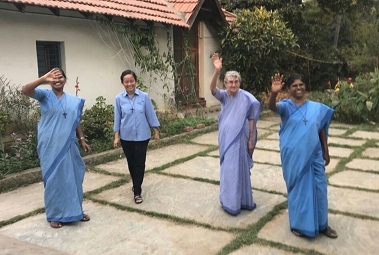 We have spent time with the family of Charles de FOUCAULD, sharing moments of prayer and encounter with the Little Sisters, with the secular fraternity, with a Little Brother of Jesus and another Brother of the Gospel. We have felt like a family of men and women who share a common journey. 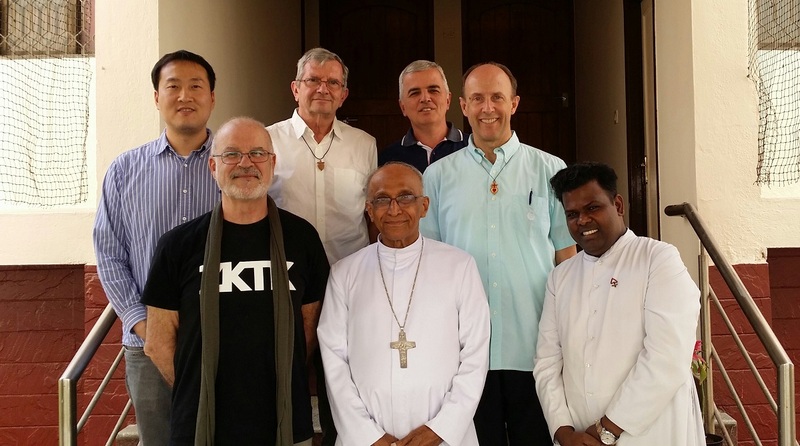 We visited the Archbishop of Bangalore, Bernard MORAS learning more closely the problems of the diocese as also we have done with the clergy of some parishes. 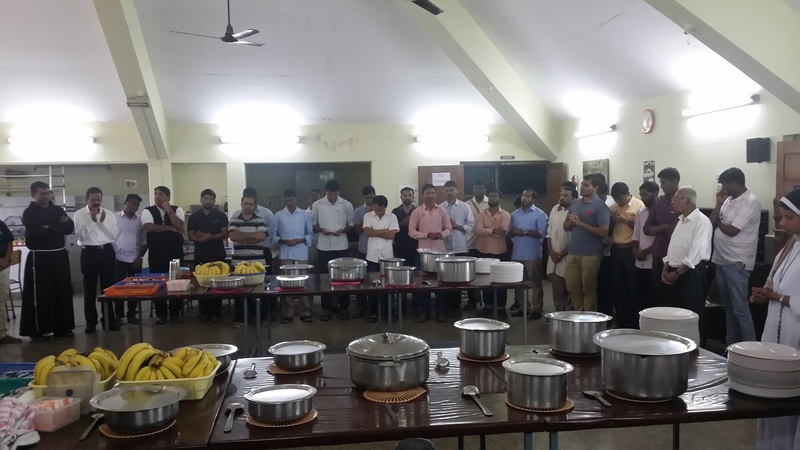 Our meeting with the priestly fraternities of Bangalore at Joseph’s parish was important for us as we celebrated Eucharist and shared dialogue following dinner. appreciate even more Alphonse’s work with a million details. All this has caused us to go out of our comfort zone; it has been our Nazareth. Thanks to our Philippine brothers for saying “yes” so that we can have our next assembly in the Philippines. In the month of March, all will receive the revised Questionnaire for the Philippines (it is also on the website) with the convocation letter calling all delegates to the Assembly, along with the registration form. Throughout this year there will be a lot of communication with the responsibles so that our assembly in the Philippines will achieve its proposed objectives. We want to share with you that, after a two year process, the new fraternity in Haiti has been accepted as a Priestly Fraternity. Welcome Jonas and brothers from Haiti! Also we are in contact with priests from Venezuela about the possibility of forming a fraternity in Venezuela. 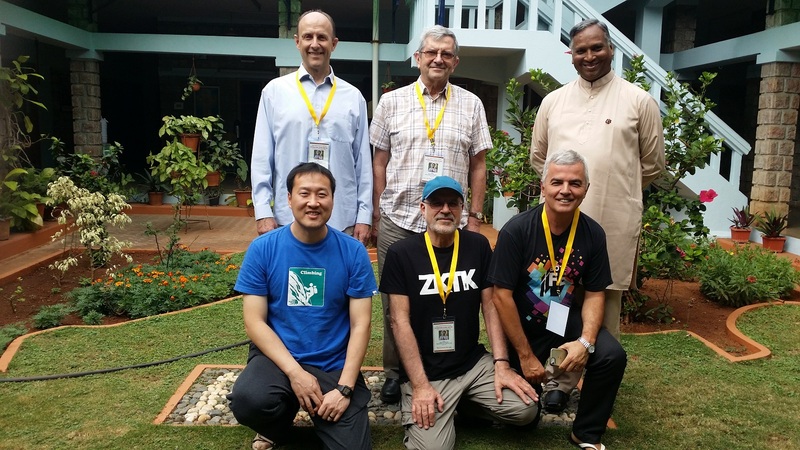 With much joy and hope we, the International Team, will work to make this preparation for the General Assembly a shared work for the good of all in the fraternity, the church, and for those with whom we live. It is our mission to announce and encounter Jesus in the style of Nazareth, contemplative and missionary. From this time on, all brothers need to commit themselves to this work, our older or infirm brothers with their prayer and the more active with their contributions. Thanks! Let us remember that all learn from all and no one is a master of the other… We have only one teacher, who is Jesus. Thanks again to our brothers from India and thanks to our brothers from the Philippines for saying yes to celebrating our next assembly.